The position of this hotel makes it an ideal place for a family vacation with all the best that Fort Lauderdale has to offer, close at hand. 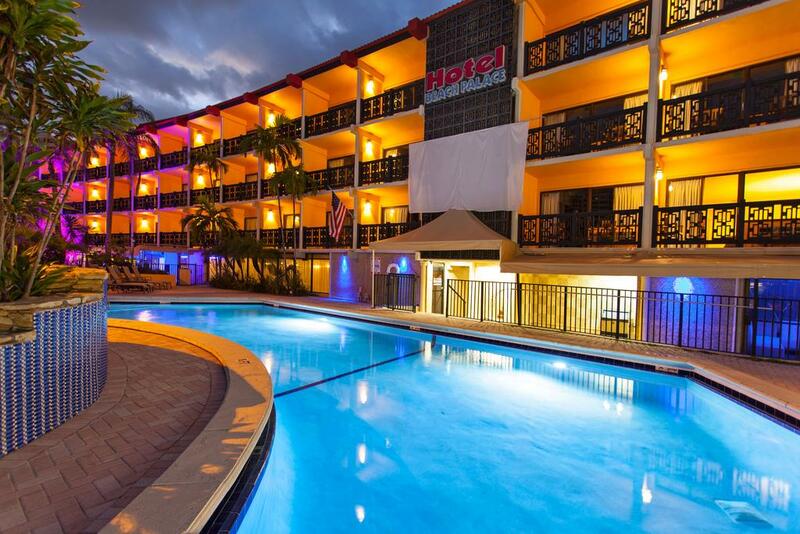 Located in the heart of Fort Lauderdale, this hotel is within 6 mi (10 km) of Fort Lauderdale Beach, Las Olas Beach, and Fort Lauderdale Beach Park. Jungle Queen Riverboat and Las Olas Boulevard are also within 6 mi (10 km). 4 outdoor pools, a restaurant, and 2 bars/lounges are available at this smoke-free hotel. Free WiFi in public areas and a free beach shuttle are also provided. Other amenities include a poolside bar, a 24-hour business center, and self parking. All 155 rooms feature comforts like pillowtop beds and premium bedding, while conveniences include refrigerators and microwaves. Free WiFi and room service are standard, as are LED TVs with satellite channels.